Swedru-based hip-life artiste, Patapaa Amisty, who shot into the limelight last year with the sensational hit song ‘one corner’, has grabbed his first-ever national award in his musical career. 3news.com reported! That Patapaa who was an underground musician had his breakthrough in 2017 after he performed the ‘one corner’ song at the Akwambo Festival at Agona Swedru in the Central Region. The song, which comes with its dance and portrays $exual and crazy antics, went viral and triggered a craze among Ghanaians including some celebrities who recorded themselves performing the dance. Patapaa has since had his name etched in the country’s music books, despite criticisms that the ‘one corner’ hit song has now fizzled out. At the maiden 3Music Awards at the Fantasy Dome in Accra Saturday, Patapaa beat off stiff competition from some of the best acts in the music industry, including Shatta Wale and Wutah to win the Viral Song of the Year with ‘One Corner’. Not even Shatta Wale’s ‘Taking Over’, Kofi Kinata’s ‘Confessions’, Lil Win’s ‘Ladder’ and ‘Bronya’ by Wutah, which were the favourites of many in 2017 and beyond, could beat ‘One Corner’. Patapaa however, could not clinch the Breakthrough Act of the Year Award that had Kidi, King Promise, Kuami Eugene, Kurl Song and Maccasio competing for. But his hit single winning the Viral Song of the Year, is enough impetus for his music career, which some have argued does not even exist as the artiste is struggling to release yet another banger. 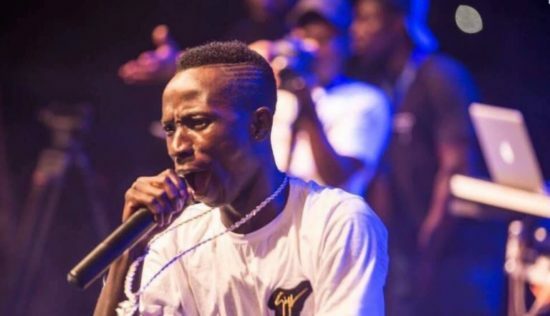 Already, Patapaa is optimistic of winning two categories he has been nominated in for this year’s Ghana Vodafone Music Awards. His ‘One Corner’ is up against ‘Total Cheat’ by Fancy Gadam ft. Sarkodie, ‘Boys Boys’ by Nacee ft Guru, ‘Pain Killer’ by Sarkodie ft. Runtown, ‘Obi Agyi Obi Girl’ by Captain Planet and ‘Ayoo’ by Shatta Wale in the Hiplife Song of the Year category. The song has also been nominated for the Popular Song of the Year.